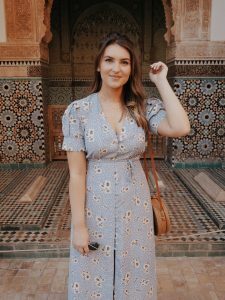 I’ve just returned from my first trip to Marrakech and I need to share my experiences; the city is beautiful, overwhelming and fascinating all at the same time. 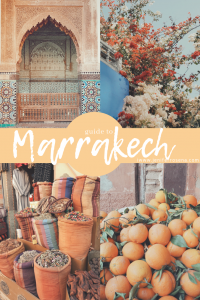 I booked a trip to Marrakech with my Mum because I’d fallen in love with a Riad I had seen online. I must admit, after reading up, I was feeling a bit apprehensive to visit but I can now safely say, I had absolutely no reason to be and I am so, so glad I decided to visit. 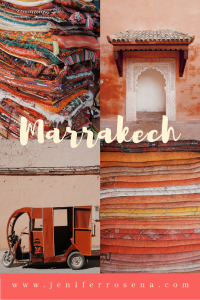 Marrakech is in the heart of Morocco, in the North of Africa. Being a short distance from the southern coast of Spain, you do forget that you’re no longer in Europe! It’s approximately three and a half hours flight from London and I flew with Ryanair (not by choice!) from London Luton. 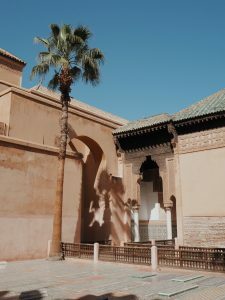 Marrakech is a busy city with so much to see and discover; we only had four full days in the city however if you book longer, I would recommend going further afield for at least one day as Morocco has so many beautiful spots to offer. Call To Prayer – This was something that I very naively wasn’t aware of before my visit but you will hear the ‘Call To Prayer’ and if like me, you don’t know about it, you may be pretty confused if the first time you hear it is at 4am! The Call To Prayer is a loud calling from the Mosque to the public, it happens five times a day and lasts about a minute. Throughout the day you can easily miss it if you’re in busy areas but we were staying right by a Mosque and heard it around 4/5am every morning. Once you get used to it it’s actually really beautiful. Marrakech Airport – The airport in Marrakech is very nice; it’s relatively new and is very clean and modern. There’s a few souvenir shops, some Paul sandwich stations and coffee bar. There’s so many taxis outside waiting to help take you to your hotel but I would always recommend booking a transfer for ease. When arriving you will need to fill out a landing card and again when boarding the plane, be prepared with a pen as it took me ages to get someone to lend me one! 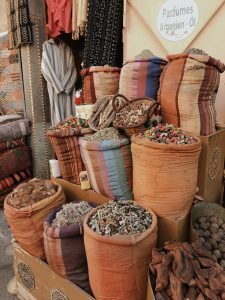 Local Currency – The currency in Marrakech is the Moroccan Dirham. It is 100 Dirham to £7.89. It’s relatively easy to get used to, I just divided everything my ten and with the knowledge it’ll be slightly less, I knew if it was a good deal or not. You can get 20, 50, 100 or 200 Dirham notes and 5 and 10 Dirham coins. The currency is non convertible outside of the Country so you will need to organise this upon arrival. It’s super easy, there’s two currency conversion stalls in the airport right after passport control. 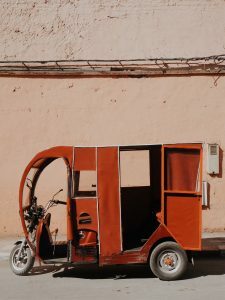 Transport – Transport is easy in Marrakech. We didn’t travel around a lot as if you’re based central, most things are walking distance. We took a taxi a few times and they’re easy to find, air conditioned and pretty cheap. We organised airport transfers through our Riad which was perfect, in a very comfortable vehicle. You can get a tuk tuk or a horse and cart as a tourist attraction, I wouldn’t recommend the horses as they look very down beat and it’s awfully hot for them to be lugging people around. Drinking – There is a nightlife in Marrakech but alcohol isn’t in abundance. Most places, the only alcohol available is glasses of wine in your hotel. If you’re after a boozy holiday, I wouldn’t recommend it’s the best place. Plugs – The plug sockets are European plugs so no need to search for a new travel adaptor! 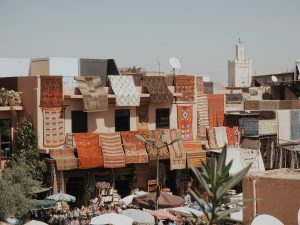 Safety – When looking into Marrakech, I found so many people asking if it’s safe. In all honesty, I did not feel unsafe once. 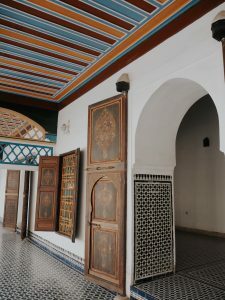 Granted, we were in a very nice Riad and were surrounded by all the local haunts, I can’t comment for exploring further afield but as long as you’re alert and know where you’re heading, you’ll be fine. One tip our Riad did tell us was to not ask locals for directions. It’s not that it’s unsafe but you will find that everyone wants paying for anything in Marrakech. Don’t film anyone, take a photo near them or of their market stall, ask for directions or help without expecting to give them some money. All the photographs you see on Instagram of people looking glamorous inside a stall full of ceramic plates, they paid for the luxury. 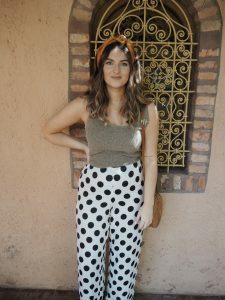 Costs & Expenses – We had four full days in Marrakech with £400 worth of spending money. We used majority of what we had converted which covered an excursion, entry to three points of interest, two meals a day and souvenirs. On average you are looking to spend 70 Dirham (£5.50) on entry to a point of interest, 80 – 130 Dirham (£6.28 – £10.22) per meal in a restaurant, 25 Dirham (£1.96) for a large bottle of water in a restaurant, 6 Dirham (0.47p) for a large bottle of water in a corner shop, 40 Dirham (£3.14) for a 15 minute taxi ride and 300 Dirham (£23.58) for an excursion. Jemaa El-Fnaa – This is the main square, you can’t help but stumble upon it and we had to walk through to get to the souks. The main square is full of stalls and performers. It’s a massive attraction at night time as it goes wild, but we opted to skip this visit as we didn’t want to walk back in the dark. Be aware, this square is where you’ll find snake charmers and monkeys on chains, we saw several whilst walking past. If you give them eye contact, they’ll start walking closer to you to draw you in – when one came towards us with a snake, I almost lost my mind! 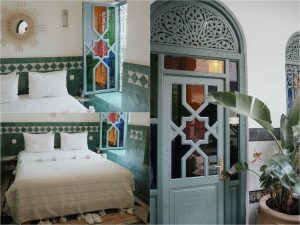 Marrakech offers an abundance of hotels to stay but the most traditional place to stay is in a Riad. 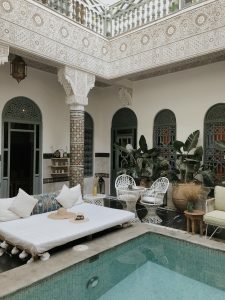 A Riad is a traditional Moroccan home with an inside courtyard; mostly these courtyards are now converted into indoor pools. 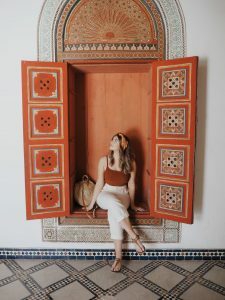 The Riad we stayed in was Ksar Kasbah and I couldn’t recommend it enough. 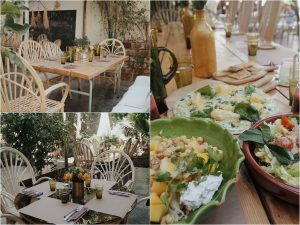 Find a full post on the Riad here. Riads are generally quite small with limited rooms so they do book up far in advance. Some other popular Riads are; Riad Yasmine, Riad Be, Riad 42 and some luxury hotels such as La Sultana and La Mamounia. 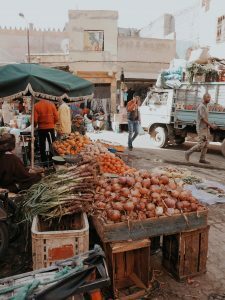 Marrakech offers local cuisine, street food and more western style restaurants so you have options whilst you stay. 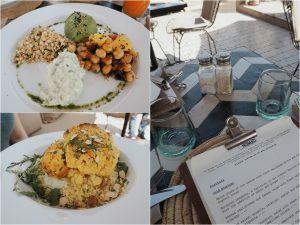 We mixed between local cuisine and the western restaurants, I wasn’t brave enough to try any street food as a lot of it is covered in bees or other insects but by all means, try it out! 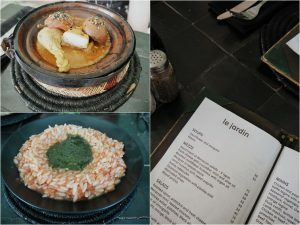 The main cuisine in Marrakech is tagine, kebab and cous cous. You can get meat or vegetable alternatives of most dishes. Every eatery we visited offered a large array of beverages such as teas, fruit juices and fizzy drinks. 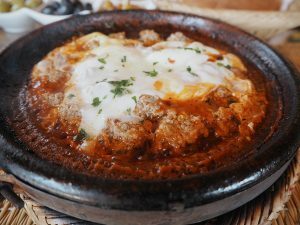 Below are a few restaurants we tried and I have a full in-depth post on these here. 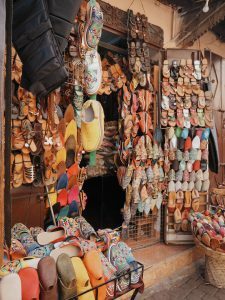 The Souks – The souks are biggest part of what Marrakech can offer. 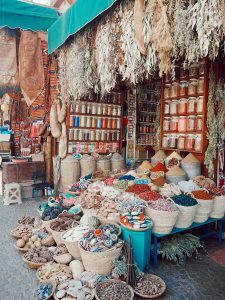 There’s an abundance of market stalls throughout the city but the souks are a maze of small stalls offering spices, baskets, fabrics and more. You enter from the Jema El Fnaa, and once you’re in, you really are in for the long haul. It’s part of the fun to get lost, we went in once every day and we eventually recognised the stalls and worked our way around it. It is covered over the top so you are shaded from the sun but it is also busy, dusty and you constantly have to move to make way for motorbikes and locals moving goods around so dress comfy, keep your items close to you and keep an eye on who you’re travelling with. 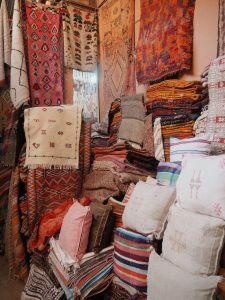 The main items you’ll find are baskets, lanterns, tea sets, leather shoes and rugs. 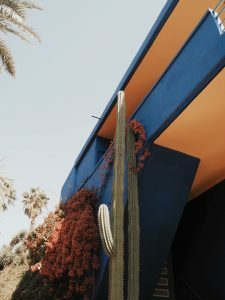 Jardin Majorelle – Jardin Majorelle is a very popular spot in Marrakech. 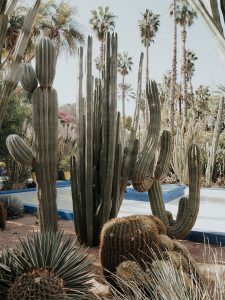 It is a two and a half acre garden which was purchased by Yves Saint Laurent who painted the architecture cobalt blue and protected the area from being built upon. 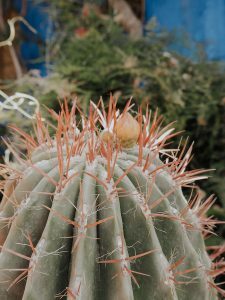 It’s very striking to look at with the contrast of colours and the hundreds of cacti around. We had to get a taxi to the area as it is in the new town, the taxi took 15 minutes and was 50 Dirham. There’s pretty much always a queue outside and you are waiting in the direct sunshine so make sure you cream up! We waited for about half an hour and finally made our way in. Do bare in mind the YSL museum is closed on a Wednesday so we weren’t able to go in there which is next door. Entry to the gardens was 70 Dirham and we looked around for about an hour and a half. Theres a cafe inside and toilets. 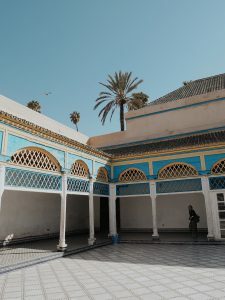 Saadian Tombs – Right around the corner from our Riad are the Saadian Tombs; I spotted them whilst relaxing in the sun on the rooftop and looking at google maps of the local area. 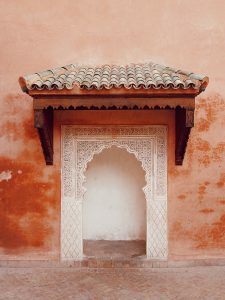 You enter the tombs by the side of the mosque and it is 70 Dirham to enter. The tombs are beautifully intricate and although wonderful to look at, they have a fascinating history. They were discovered in 1917 and house sixty members of the Saadian Dynasty. 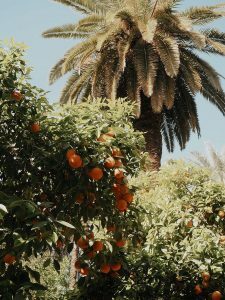 There’s gardens outside also showcasing lovely orange trees. 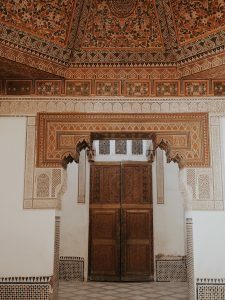 Bahia Palace – When the palace was built and it was built with the intention of being the greatest palace of all time and it really is quite that! The palace was a short walk around the corner, you enter through large gates and it costs 70 Dirham to enter. We visited around 10am and it was relatively relaxed inside and the queues weren’t too long. 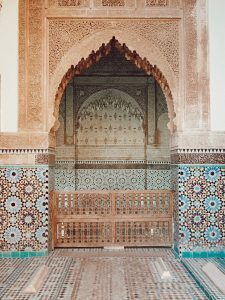 The palace is full of amazingly decorated doorways, windows and ceilings; you’ll come out of here with a sore neck and a dry mouth from staring at the roof and constantly saying ‘wow!’. 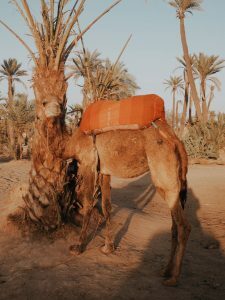 Camel Riding – Whilst in Marrakech, we wanted to utilise one of our days and go on an excursion. 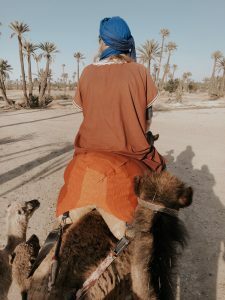 Our Riad was offering several different trips, considering our short stay, we opted for the camel riding in the palm groves as it was only 20 minutes away and you could do it in the late afternoon, meaning we had all morning to do more exploring. At 5:30pm we were collected from our Riad by a driver who took us to the area where the camel riding takes place. They have rope attached to them but are left free standing whilst you wait to ride. Our camel had recently had babies and they run and played alongside their mum as we rode along, it was lovely to see that they aren’t kept away! It was a lovely calming experience, we did it at sunset and it was a beautiful end to the day. 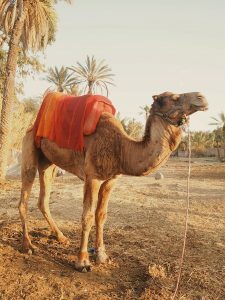 If you have longer, you can travel to the Sahara Dessert which I would love to do another time! Four nights and four full days in a new beautiful City. 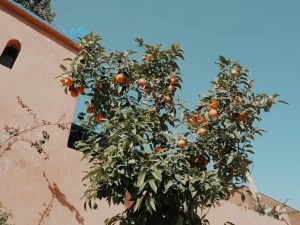 I love nothing more than exploring new places and Marrakech has really left an impression on me. It is so photogenic, if you’re at all interested in photography, you’ll be in heaven. It was the perfect place for a Mother and daughter visit too. 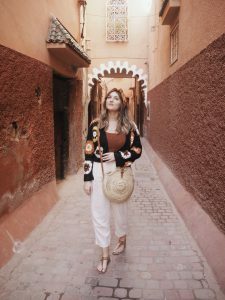 The pace is very slow and you can spend your days pampering in your Riad or exploring the streets; every holiday is yours and you can tailor Marrakech to your desire. 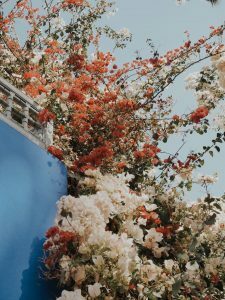 I hope you find this helpful or inspiring to book your own holiday! As always, any further questions, please feel free to get in touch. 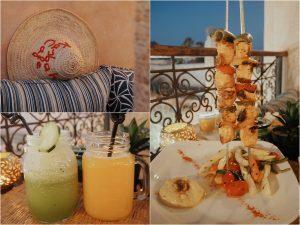 "Gilmores; Golf, Tacos & Beers"
"Marrakech Guide; Riad Ksar Kasbah"